How to enjoy your meals even more? 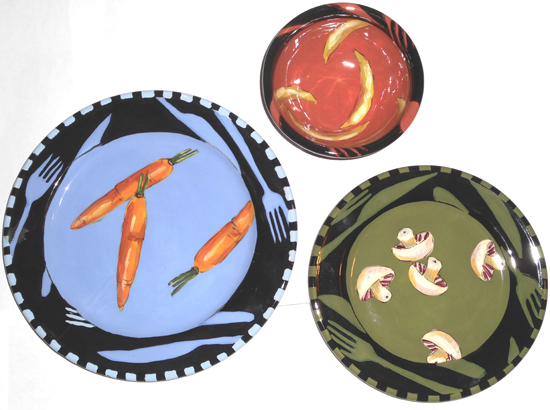 By eating off of these fun and pretty plates. Utensils included! (just being droll!). Click on photo to enlarge. Allow 4-6 weeks for delivery.